When Eric Wendel was diagnosed with acute lymphoblastic leukemia in 1966, the survival rate was less than 10 percent. Today, it is 90 percent. Even as politicians call for a “Cancer Moonshot,” this accomplishment remains a pinnacle in cancer research. The author’s daughter, then a medical student at Georgetown Medical School, told her father about this amazing success story. Tim Wendel soon discovered that many of the doctors at the forefront of this effort cared for his brother at Roswell Park in Buffalo, New York. Wendel went in search of this extraordinary group, interviewing Lucius Sinks, James Holland, Donald Pinkel, and others in the field. If there were a Mount Rushmore for cancer research, they would be on it. Despite being ostracized by their medical peers, these doctors developed modern-day chemotherapy practices and invented the blood centrifuge machine, helping thousands of children live longer lives. 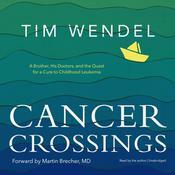 Part family memoir and part medical narrative, Cancer Crossings explores how the Wendel family found the courage to move ahead with their lives. They learned to sail on Lake Ontario, cruising across miles of open water together, even as the campaign against cancer changed their lives forever. When Eric Wendel was diagnosed with acute lymphoblastic leukemia in 1966, the survival rate was less than 10 percent. Today, it is 90 percent. Even as politicians call for a “Cancer Moonshot,” this accomplishment remains a pinnacle in cancer research. The author’s daughter, then a medical student at Georgetown Medical School, told her father about this amazing success story. Tim Wendel soon discovered that many of the doctors at the forefront of this effort cared for his brother at Roswell Park in Buffalo, New York. Wendel went in search of this extraordinary group, interviewing Lucius Sinks, James Holland, Donald Pinkel, and others in the field. If there were a Mount Rushmore for cancer research, they would be on it. Despite being ostracized by their medical peers, these doctors developed modern-day chemotherapy practices and invented the blood centrifuge machine, helping thousands of children live longer lives. 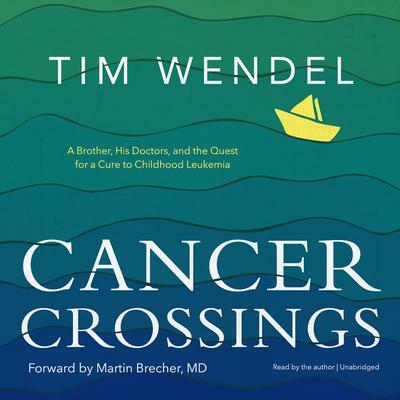 Part family memoir and part medical narrative, Cancer Crossings explores how the Wendel family found the courage to move ahead with their lives. They learned to sail on Lake Ontario, cruising across miles of open water together, even as the campaign against cancer changed their lives forever. Tim Wendel is an award-winning writer whose articles and columns have appeared in the New York Times, the Washington Post, and USA Today. He teaches writing at Johns Hopkins University and is the author of The New Face of Baseball: The One-Hundred-Year Rise and Triumph of Latinos in America’s Favorite Sport.